There is no such thing as a static subject in painting. In portraiture, the human face is capable of infinite variety of expression and movement. A still life will challenge the nature of its title by altering in appearance with the time of day and passage of light. And the view of a landscape will shift from one second to the next, affected by the sliding sun, the direction of the wind, the advancement of clouds, the disturbance of feet, and the mindset and mood of its observer. 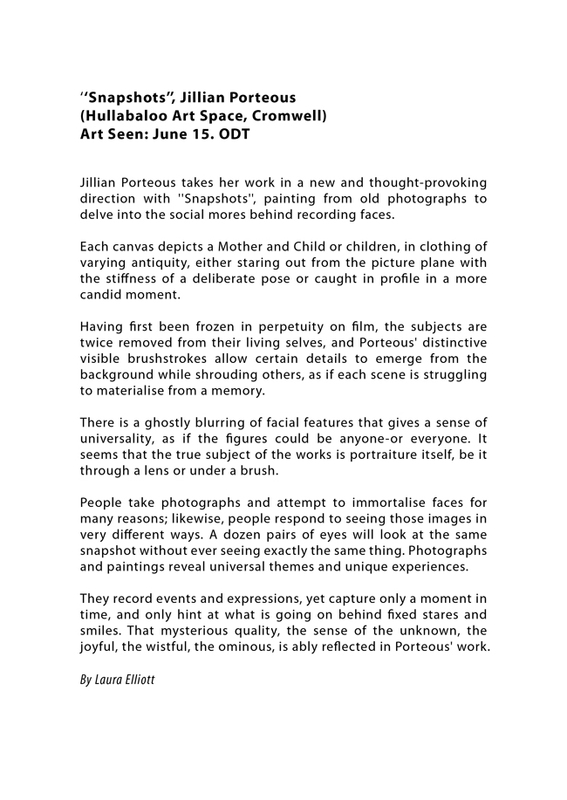 Bendigo artist Jillian Porteous' latest study, ''Points of View'', highlights the impossibility of capturing a fixed viewpoint on canvas. A scene as it exists at one moment will never again be exactly replicated, nor will it be interpreted in the same way by two different people. 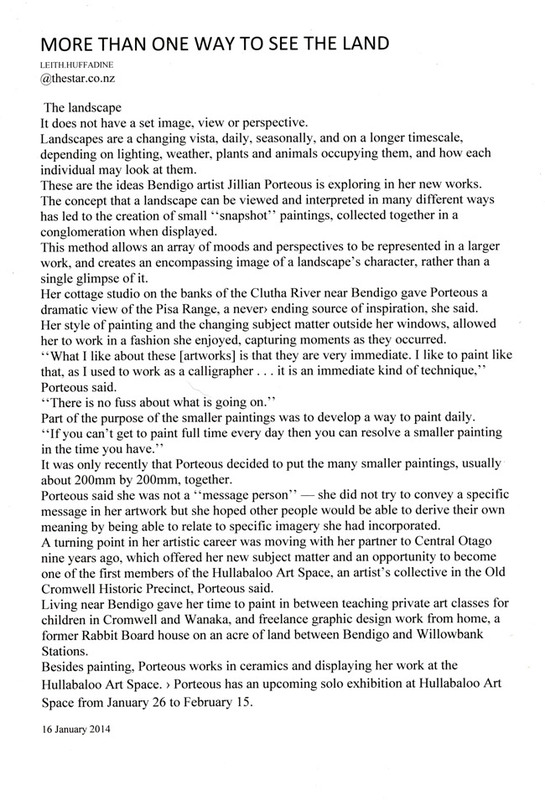 Porteous claims to not be a ''message'' painter. Her works, like all artworks, will make individual connections with their audience and create unique stories with each viewer. Her soft colour palette lends a slightly hazy daydream effect that is enhanced by an abstraction and simplification of form. Porteous works quickly on small block canvases, capturing impressions of brief moments. The collective ''Points of View'' then become something of a painted, interchangeable set of puzzle pieces. The viewer can literally build their own landscape by putting together as many of the blocks as they like, arranging them in an order that creates a picture from their own imagination. Mural commission, The French Café, Dunedin. Joint commission for The Lakeland Park Royal, Queenstown. Three mural commissions in Athens.